Gov. 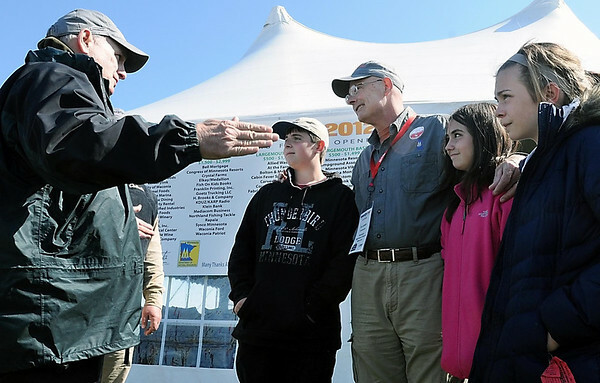 Mark Dayton wasn't telling tales of the big one that got away, but making a point as he visited with Minnesota Department of Natural Resources Commissioner Tom Landwehr, flanked by (from left) his son, Hunter, niece, Mandy, and daughter, Jocelyn, after a morning on the water. Dayton wasn't quite skunked, catching a bluegill on his morning excursion onto Lake Waconia, west of the Twin Cities during the Saturday fishing opener.